H.13440 - Entertainers delight! This 4/3, "Briones Model with over $130,000 in upgrades is a rare gem! Single story, 2 car side entry garage with a private heated pool/spa (tanning ledge/ sun shelf in pool) with a privacy wall. A chefs dream! 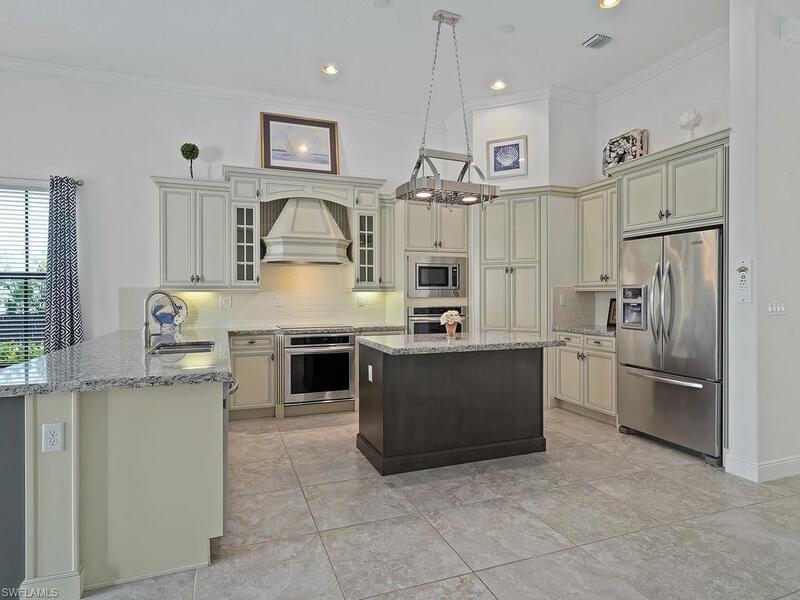 High-end upgraded kitchen with 42 inch wood cabinets w/rope crown molding, granite countertops, backsplash, under-lighting, pot rack over island, and extra storage (under cabinets) in kitchen. 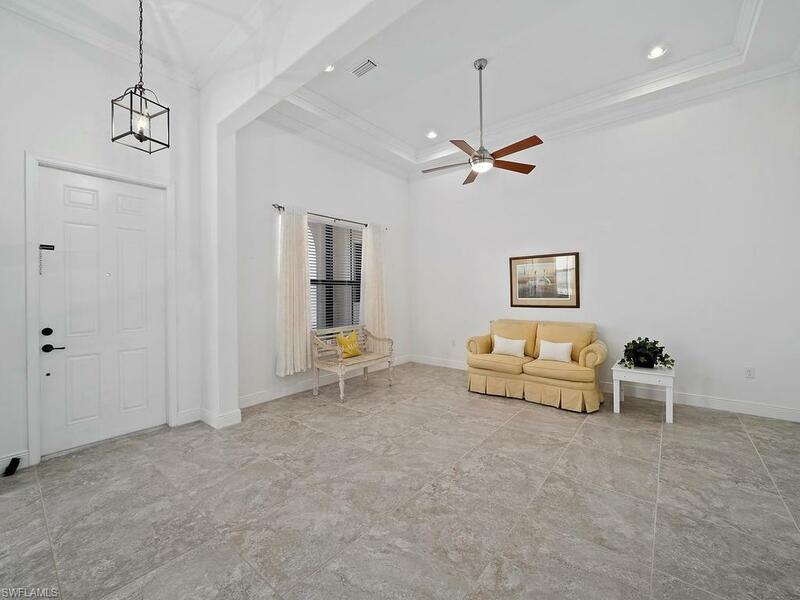 Porcelain tile in living area, crown molding throughout, window treatments, garage door opener keypad & upgraded faucets throughout (Moen & Kohler). Upgraded washer/dryer with cabinets storage and laundry room sink. 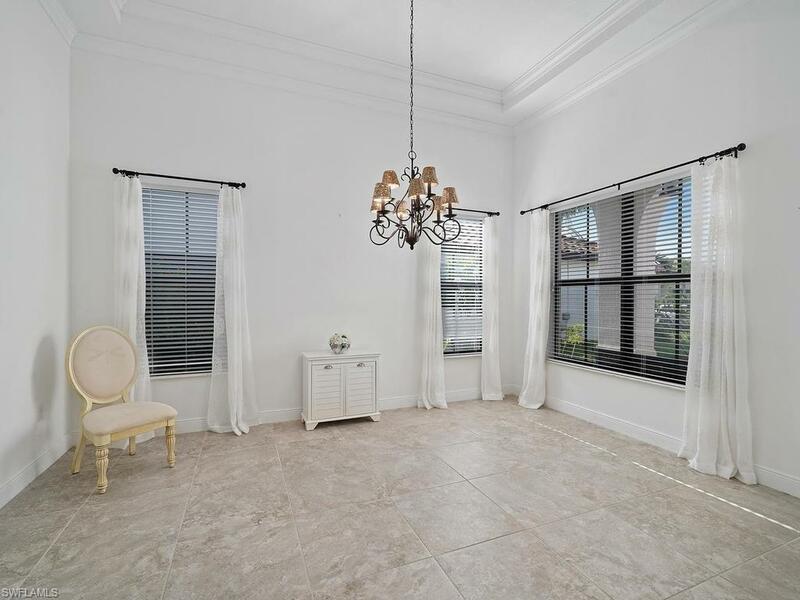 Stunning Master bedroom upgrades include custom closets, plantation shutters, frameless shower, tile to ceiling in shower, upgraded wood vanity cabinets, large soaking tub and porcelain plank tile. 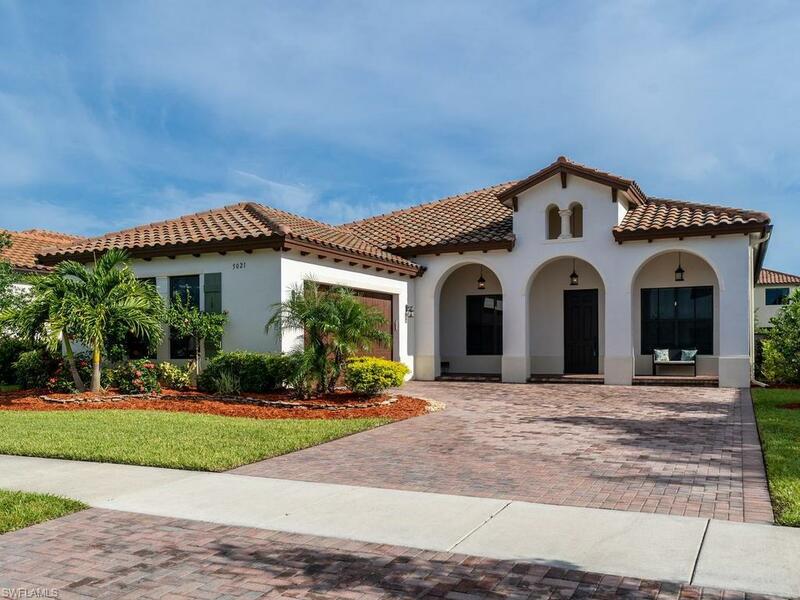 This gorgeous and lovingly maintained home is walking distance to Town Center, dining, Publix, Ave Maria amenities, playgrounds, parks, walking/jogging trails, dog park, fitness center, tennis courts, bocce and more. Come experience this one of a kind home in Ave Marias award-winning neighborhood Maple Ridge. New Club House Coming Soon!